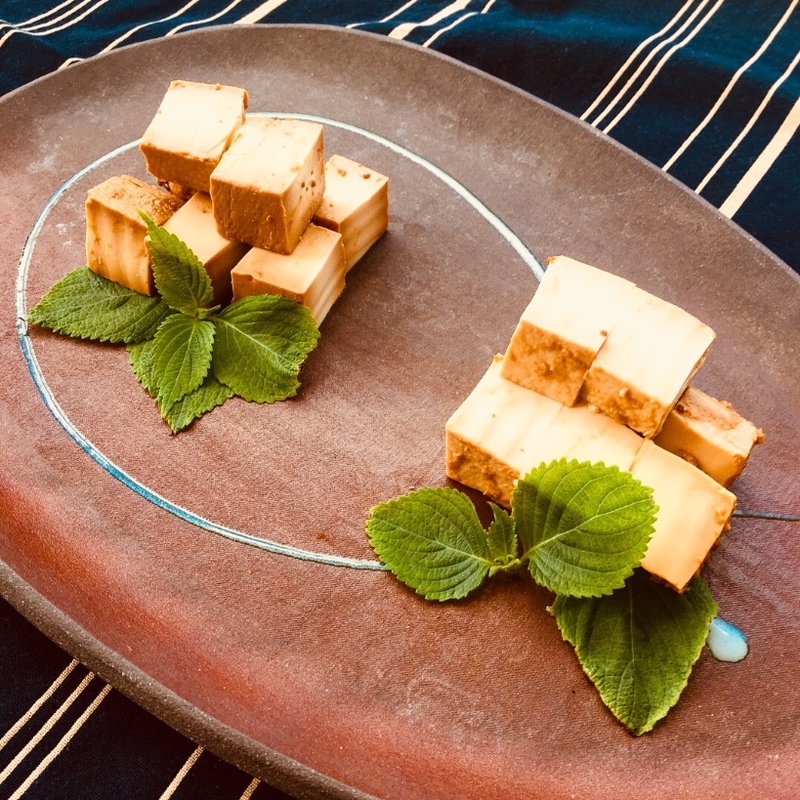 Marinate tofu with miso… and enjoy smoky cheese flavour! The tofu on the lefts side of the plate is marinated with Aka Miso and the right side with our Regular Miso. 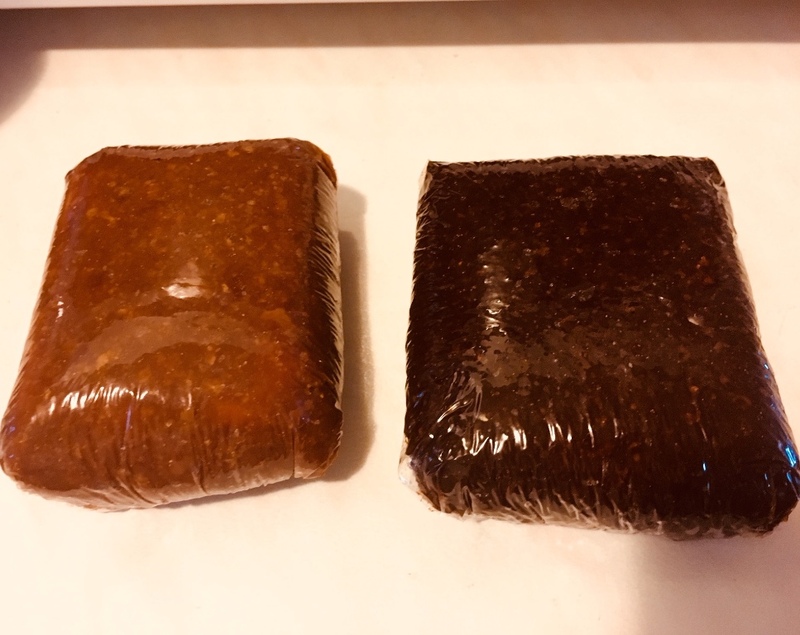 Can you see the difference in colour? Wipe miso off tofu, slice and enjoy! You can use the wiped off miso for miso soup.